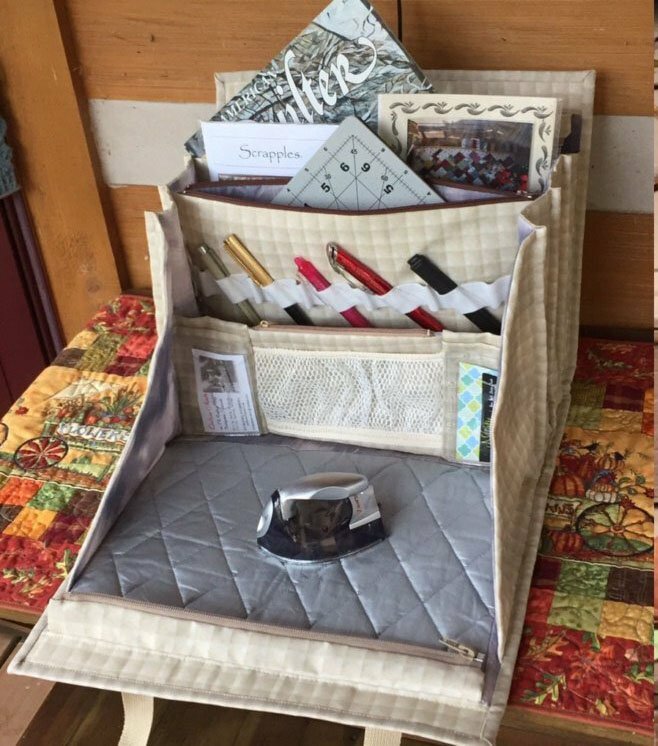 Join Elaine as she guides you through making this elegant bag that will carry and organize all your sewing, quilting or other craft supplies. This bag has 18 pockets, plus additional vinyl clear bags for smaller items (needles, embellishments, templates, small rulers, thimbles, etc). Large zippered pockets are the size of a standard magazine and will also fit an iPad/tablet or small cutting mat. Traditional size patterns will fit in the smaller pockets.